Physics doen't lie! The M.M.K Silver Series is one of a kind in this Vape Industries. It has the same mechanism as the other M.M.K MOD Series. We silver plated the whole MOD 3 times with 100% pure silver, to ensure that the the power can conduct at their best, as silver is the best conductor in the world. For your Information, regarding we use pure silver, so an extra maintenance for silver is required. Our high quality silver plate is a white metalic luster that looks brilliant. It's the greatest of all metals for it's electrical conductivity. Unlike Copper and Brass, our silver plate will not easy to oxidize and quite easy to clean. 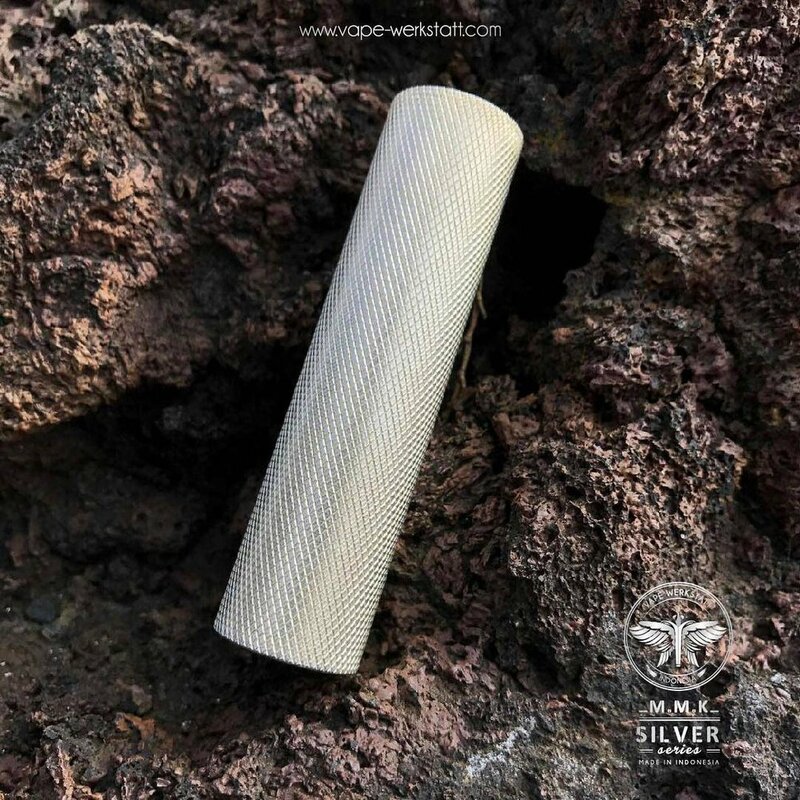 Different than the others, a silver plated mod can be categorized as a luxurious device. We are proud to declare that the silver we used are came from Indonesia.